 Learners not retaining information? e-Learning not prompting behavioral changes? As the old adage says, “Experience is the best teacher.” When teaching a new process or facilitating a change in behavior, there’s no better teacher than experience. But this is e-Learning we’re talking about. How can you help your learners truly experience a situation when they’re sitting at their desks? Enter the magic of branching scenarios. 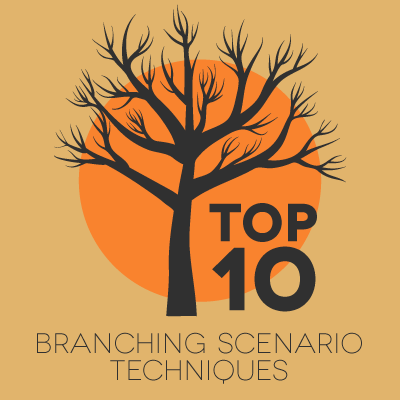 Similar to a case study, a branching scenario is a form of storytelling. As the learner makes decisions and moves along the path you’ve created, a narrative unfolds and makes the lesson more memorable. Unlike a case study, you can use a branching scenario to show your learner the consequences of different choices. I’ve gathered together some branching scenario techniques from an expert, Clark Aldrich. Clark Aldrich is an author and practitioner who has pioneered and expanded the use of educational simulations and serious games for education and professional skills. He has written many helpful articles and posts about branching scenarios and techniques you should try. Create the feel of time passing. A simple “advance to the next slide” structure can create the feeling of time passing, adding to the narrative feel. Use actions, direct quotes and intentions. Add variety by creating options that use a combination of actions, direct quotes and intention statements. Direct quotes create more interest in a course, but you run the risk of choosing phrasing that doesn’t resonate with how your learners speak in everyday life. An intention statement, such as “Do this action,” is a good way to branch the course without using a direct quote. Of course, if every branching slide offered only the two options “Do this” or “Don’t do this,” it would be a pretty boring course, right? That’s why you need to use a combination. Give the learner no-consequence decisions. Sometimes learners overanalyze every option and decision. Put them at ease with a few no-consequence decisions like allowing them to pick whether the character drinks coffee or tea or prefers cats to dogs. Embed important background content in dialog choices. Don’t waste your learners’ time with an introductory slide full of background info. Instead, weave that information into the dialog between characters. Use character and mood to influence. In real life, our decisions are influenced by emotions and other people’s moods. Make sure to set the mood and create believable characters, so the correct answer is less obvious—as it often is in real life. Keep names descriptive and backstories light. Break up long passages to move learner along. Try not to make the learner read more than 3 sentences before performing an activity or making a choice. This is the age of computer games; keep the pace brisk. Nest information and available actions. “Make some information and action available only if the player seeks it out. The technique works especially well when non-essential and critical nested decisions are used,” says Aldrich. Let learners be the coach. A typical branching scenario is from the player’s perspective. It prompts the question “What would I do in this situation?” But you could also put the learner in the situation of giving advice to someone else. The learner is not the character facing the high consequence situation, but still has to decide how to handle it in order to advise the other character. Show why a choice is incorrect. “Sorry, wrong answer. Next slide.” That’s all you need, right? Wrong! It’s important to show learners the consequences—both long term and short term of their decisions. In order for a branching scenario to be effective, it needs to develop conviction in the learner—an enduring understanding and drive to do the right thing. In order to do this, you need to show how each choice can positively or negatively affect the company over time. By incorporating these techniques into your branching scenarios, you can create more effective e-Learning that engages your learners and prompts lasting behavior changes. A full-featured e-Learning authoring tool like Lectora® Inspire makes it easy for you to create branching scenarios. To make it easy for your colleagues to test and review your branching scenarios as you’re working on them, try developing in the cloud with Lectora® Online. Using buttons and hyperlinks is a quick way to set up a non-graded scenario that lets the student explore situations and consequences. For such a scenario, you may want to include options at every step that let the learner go back and make a different choice on the previous question. For more tips on building branching scenarios and other e-Learning techniques, subscribe to the Lectora e-Learning Blog.